A walking track alongside the river bed, an arena for cultural performances, LED screens and water fountains will also be installed on the premises. VIJAYAWADA: In a respite to those who look for hangout spots in Vijayawada, the civic body is coming up with a recreation zone at Padmavathi Ghat. 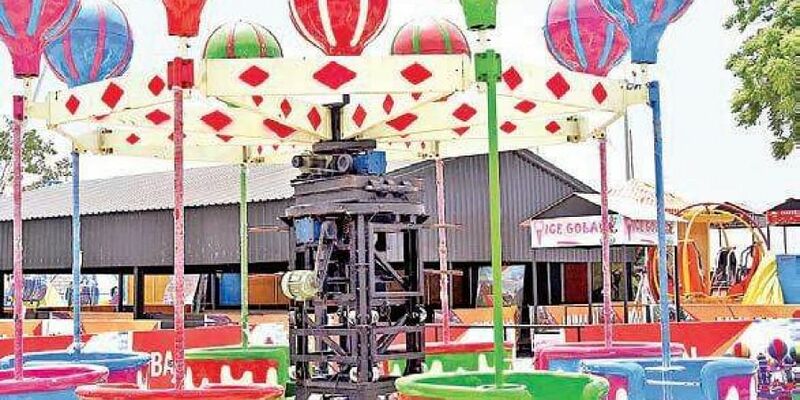 The Vijayawada Municipal Corporation (VMC) has named it E3 (Eat, Enjoy and Entertain), which is likely to start operating by the end of this month. Spread over 1.1 km, the Padmavathi Ghat is very close to the Pandit Nehru Bus Station (PNBS). On May 1, 2018, the civic body had inked a pact with Jaan Entertainment Private Limited for the establishment of the same as part of a riverfront development project. According to VMC officials, JAAN Entertainment had quoted bids at an estimated Rs 24.50 lakh per annum (for seven years) and it has invested Rs 12 crore in the project. As per the agreement, the operator would take care of the construction and maintenance of the food court for a period of seven years. Basing on the response on the food court, the corporation might extend the agreement by two years. Works for the project commenced last November after permission from all the departments concerned was attained. As part of the project, different cuisines will be made available on the premises. A walking track alongside the river bed, an arena for cultural performances, LED screens and water fountains will also be installed on the premises. The entry into the campus will be free for the public from 9 am to 2 am. However, one has to pay `100 for an access card that will have the validity for five years. People can register themselves at www.ethree.in to avail these access cards by submitting details such as Aadhar number and mobile number. This decision was taken for safety and security reasons, the CEO added. As many as 60 CCTVs are arranged on the premises and its link has been connected to nearby police stations; about 24 security personnel will be deployed on the premises. “Initially, we are planning to issue 20,000 access cards and increase this number in a phased manner. The premises could facilitate parking for 150 cars at one time. As of now, the tariff for the gaming zone is yet to be decided,” the CEO said.